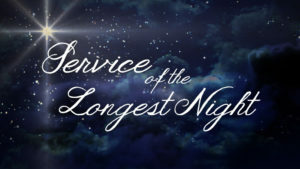 On Saturday evening, December 21st at 7 pm, St. James Episcopal Church and the Groveland Congregational Church, together will be holding a Service of the Longest Night or Blue Christmas Service, a service of healing and hope for those who are suffering from a heavy heart this Christmas. This year it will be held here at St. James Episcopal Church, 119 Washington Street, Groveland, MA. If you or someone you know would like to attend this service, please share this information.